Christmas holidays are only few days away. Everyone rushes around trying to prepare for the holidays and end up totally stressed out. We know how it is and thus we have a perfect time management tip for you. 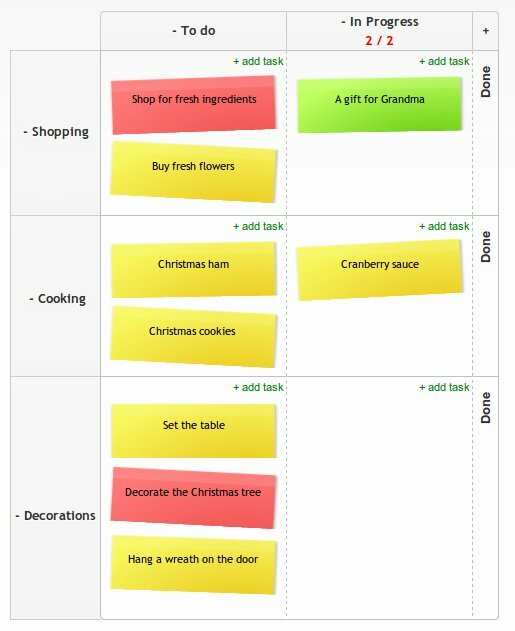 Just take it easy and prepare Kanban board that will help you to survive very last days of the Christmas rush. Write down all things that need to be done before holidays. Organize your tasks using colors, swim lanes and priorities. Kanban board will help you finish everything on time. Then, sit back, relax and enjoy time with your family and friends.